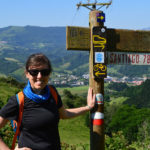 Home / Blog / FAQ: Can I cycle the Camino? The short answer is that yes, you can cycle the Camino. 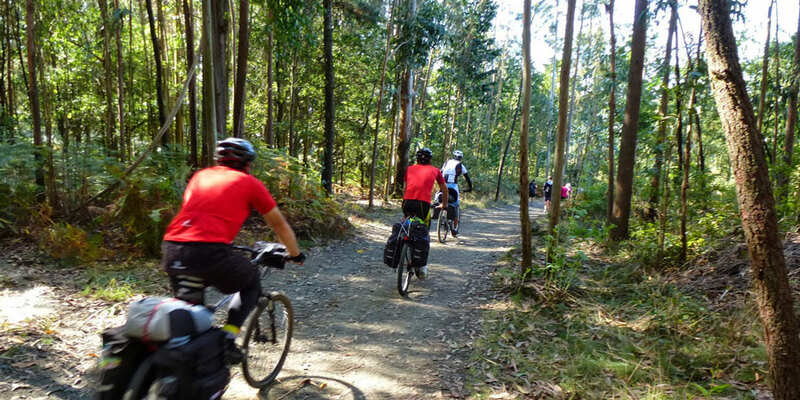 In fact, approximately 8% of pilgrims getting their Compostela certificate in Santiago arrive on two wheels. Is it the same track for cycling and walking? It is the same track for most part of the routes. 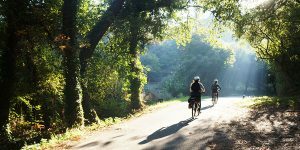 It is worth bearing in mind that the Camino de Santiago routes are mainly walking trails but it is also possible to cycle most of them. The combination of small roads, tracks and trails will mean you will need a suitable mountain bike and it will require a certain level of proficiency. In some sections and routes, it will be possible to take a detour to avoid parts of the trail that might not be bike-friendly, such as steps. These alternatives are generally marked. What are the most popular Camino routes for cycling? This Camino route from Porto is increasinly popular for its wonderful coastal scenery, quaint seaside towns and fab food. In this case The walking and cycling routes actually go separate ways in various sections but they always converge back in the main towns and villages. It is 263kms-long and can be completed in 9 days. However we recommend adding a few rest days or split your distances so you have time to relax and enjoy the beautiful coastal atmosphere or spend some downtime at the beach. 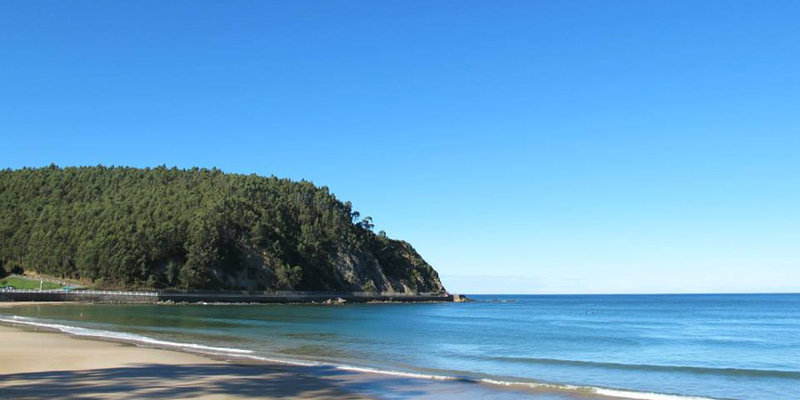 Find more details on this trip here: Cycling the Coastal Camino from Porto. If you are embarking on a two-wheeled journey to Santiago and the famous Camino Frances is your route of choice, we recommend you avoid the first stretch of the route over the Pyrenees and start from Pamplona instead; it will tak you approximately 20 days to complete 700kms. Alternatively you can also start further along the route, in Leon (300kms to Santiago) or Ponferrada (200kms to Santiago). 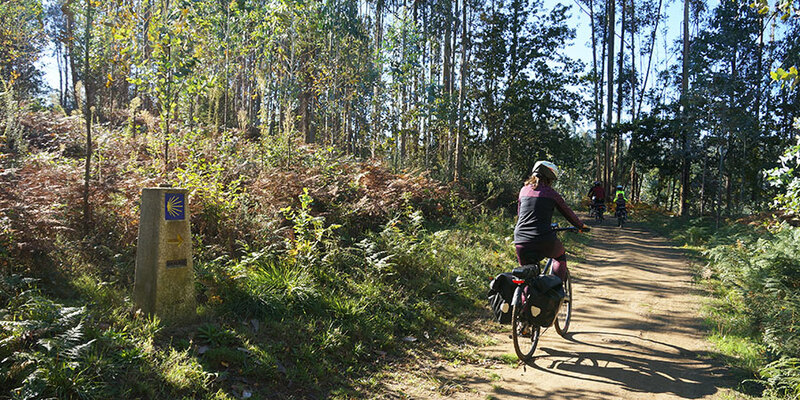 Find more details on this trip here: Cycling the Camino Frances from Ponferrada. You can also find more cycling the Camino ideas in our Best for Cycling Collection: Best for Cycling. We definitely recommend cycling the Camino only if you have experience cycling and if you are familiar with basic bike maintenance such as changing a tube for instance. 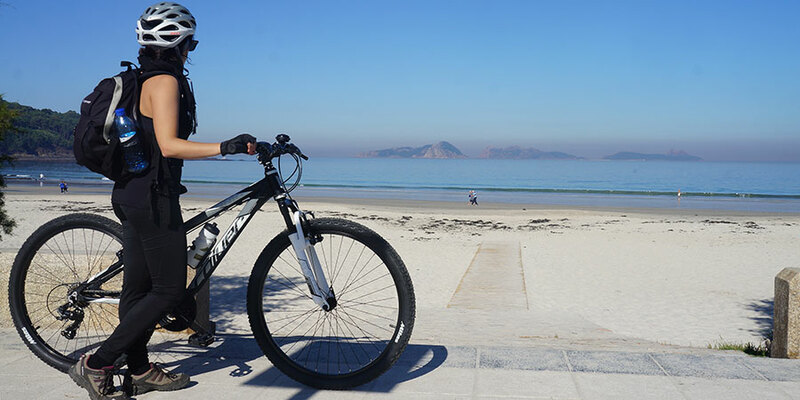 Your bike will be your best companion on this fantastic trip but only if you feel confident as a rider. Yes, you can. We can organise accommodation, luggage transfers and other services for you or if you prefer we can organise bike rental for your trip. Ebikes are also available for certain routes. Can I get a Compostela certificate? Bike pilgrims are also entitled to claim their Compostela pilgrim certificate from the Pilgrims Office in Santiago de Compostela. Bear in mind you will need to cycle at least the last 200kms of any of the Camino routes into Santiago in order to qualify. And don’t forget to stamp your pilgrim passport along the way! 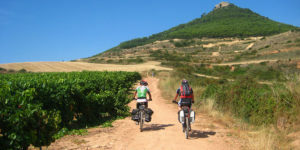 If you are looking for a special cycling holiday, the Camino will definitely be a memorable journey. 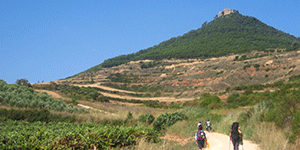 Cycling or walking the Camino?